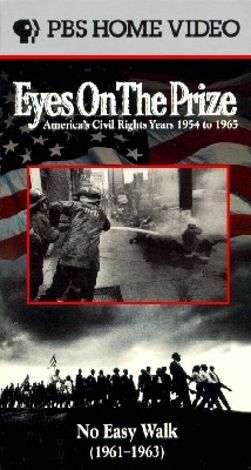 Part of the Eyes on the Prize documentary series, which chronicles the American civil rights struggle, Eyes on the Prize: No Easy Walk (1961-1963) profiles three major movements. First, the program takes viewers to Albany, GA, where a violent police chief tested Martin Luther King's peaceful strategy. Next, in 1963 Birmingham, AL, young children volunteered to aid the dangerous cause. Finally, the program covers the 1963 March on Washington, a time of great optimism and support. Sadly, two weeks later, racial violence once again reared its ugly head.